Learn at home with Online English for Kids! We want learning English to be fun and EASY! Our program enables children to master key English skills necessary for success. We teach basic vocabulary as well as phonics to help kids become successful in reading and spelling! We make learning English fun by using puppets, games, videos, songs, crafts and interactive activities. 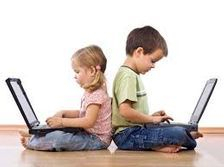 Our main goal is to engage your child through play via our state-of-the-art online platform. We are a team of well-trained, native-speaking teachers dedicated to helping your child learn English in a dynamic online environment. We think learning should be fun, never boring! We know that you are busy! That's why our teachers are available when YOU have free time. Soon we will have teachers available 24 hours a day, 7 days a week! Our teachers will post their availability on our online schedule which is updated weekly.